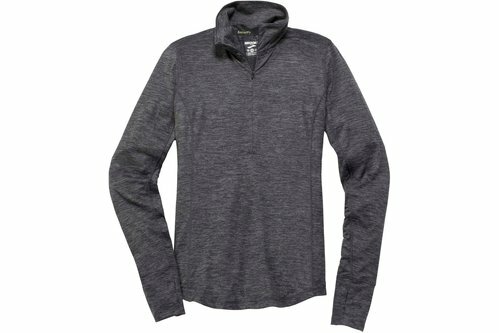 This Brooks Dash Half Zip Top is an over the head design with half zip fastening. It is crafted with long sleeves and flat lock seams which prevent chafing. This top is a lightweight, fitted construction in a block colour. It is designed with a printed logo and is complete with Brooks branding.